In September 2018, Super Typhoon Trami barreled across the Western Pacific basin, visible east of Taiwan in this nighttime image. 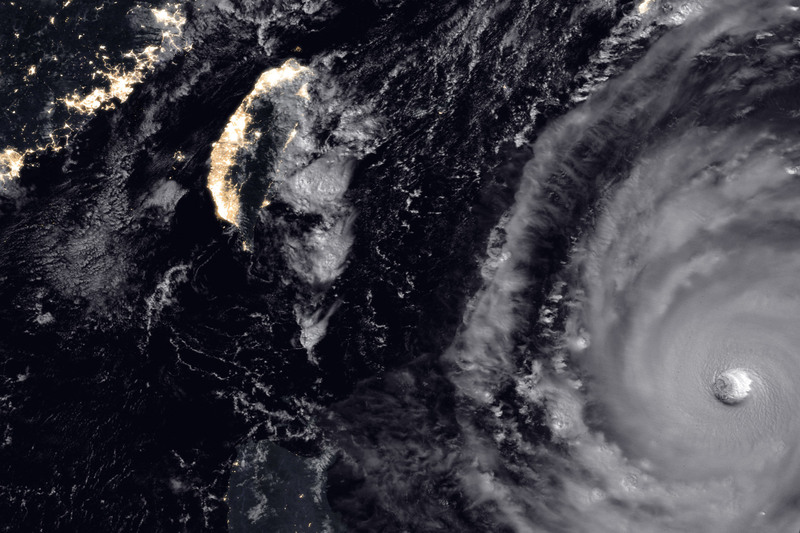 The image was acquired at 1:45 a.m. local time on September 25, 2018 (17:45 UTC on September 24), with the “day-night band” (DNB) on the Visible Infrared Imaging Radiometer Suite (VIIRS) on the Suomi NPP satellite. The DNB sensor detects dim light signals such as auroras, airglow, and city lights. In this case, a nearly full Moon lit the tops of the clouds. 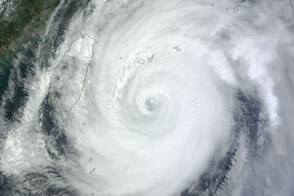 At the time, Trami was the equivalent of a category 5 storm with sustained winds of 260 kilometers (160 miles) per hour. 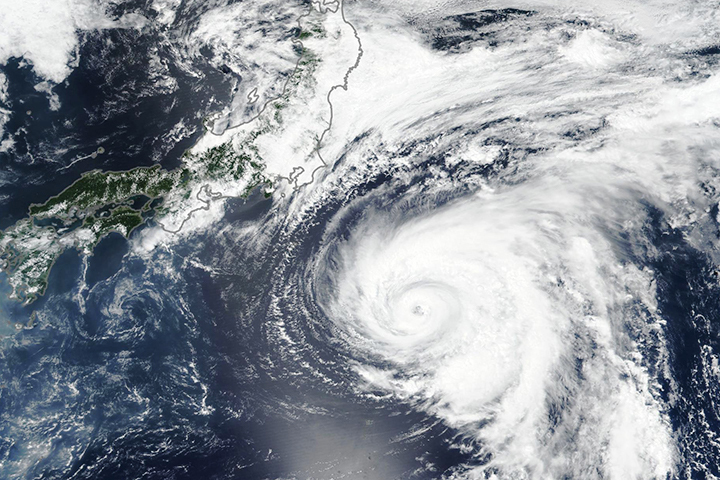 According to the Joint Typhoon Warning Center, forecasts called for the storm to curve north and then northeast toward Japan by the end of the week. 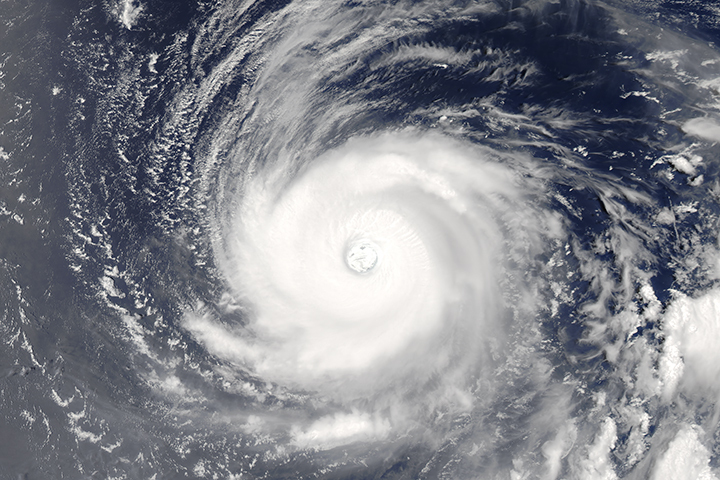 NASA Earth Observatory image by Kathryn Hansen, using VIIRS day-night band data from the Suomi National Polar-orbiting Partnership. Text by Kathryn Hansen. 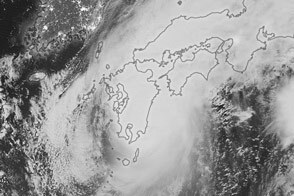 The storm barreled across the Western Pacific basin, visible east of Taiwan in this nighttime image. 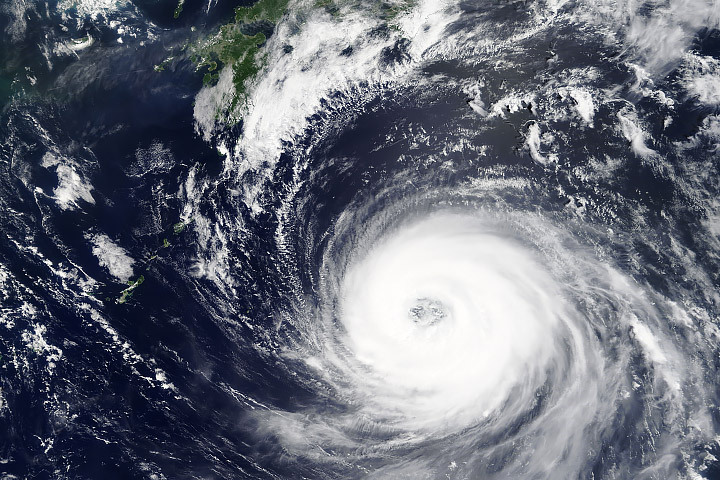 Joint Typhoon Warning Center (2018, September 25) Typhoon Trami. 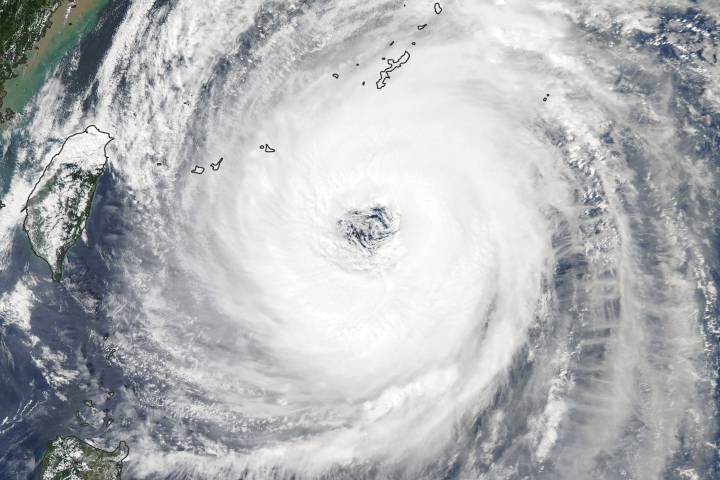 Accessed September 25, 2018. Weather Underground (2018, September 25) Super Typhoon Trami. Accessed September 25, 2018.